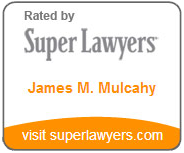 Kevin Adams is partner at Mulcahy LLP. 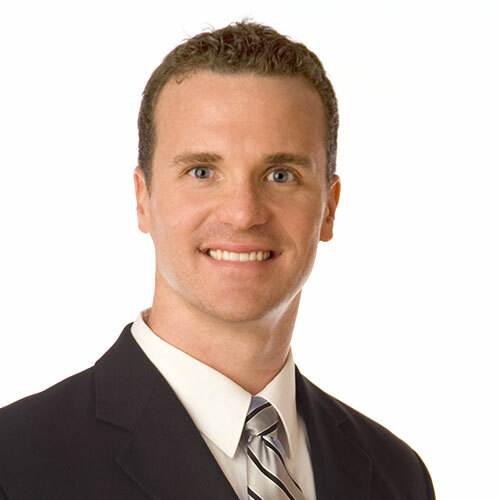 Since 2008, Kevin’s practice has focused exclusively on franchise and distribution litigation and counseling. As a franchise litigator, Kevin has extensive experience with state and federal franchise laws, employment law matters, intellectual property rights, unfair competition, and related antitrust and trade regulation matters. Kevin is recognized as a leader in the franchise and distribution legal community. 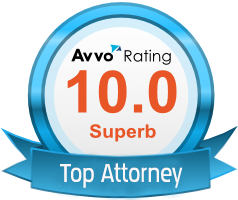 He is a certified specialist in franchise and distribution law by the State Bar of California, Board of Legal Specialization. He is a former Co-Chair of the California Franchise Law Committee and is a regular author and speaker on franchise, distribution and competition issues. First and foremost, however, Kevin is an experienced litigator that has tried numerous cases to conclusion before judges, juries and arbitrators. Kevin has handled franchise and distribution cases in state and federal courts in California, Florida, Colorado, Idaho, Oregon, New York, Texas, Arizona, and Wisconsin, as well as before the American Arbitration Association, Judicial Arbitration and Mediation Services, Franchise Arbitration and Mediation Services, ADR Services, Inc., National Arbitration Forum, and before various state and federal administrative agencies. Represent franchisors in the restaurant, pet grooming, exercise and fitness, medical weight loss, gaming, real estate, automotive, education, cleaning, and other industries. Counsel franchisors seeking to enforce changes in their franchise system standards/requirements. Represent franchisors against enforcement actions and stop orders initiated by state agencies. Defend franchisors against state franchise law claims (based on disclosure and relationship statutes), state unfair competition law claims, tort claims (including fraud), breach of contract claims, and breach of implied covenant claims. Advise franchisors, licensors and other companies on franchise regulatory and compliance matters. Represent franchisor in actions against current and former franchisees for monies owned and other breaches of the franchise agreements. Represent franchisors and other employers against claims of discrimination, harassment, retaliation, wrongful termination, workplace violence, FMLA and other leaves of absence, as well as complex wage and hour matters. Counsel clients on hiring and firing issues, reductions in force, compensation and benefits, and development and implementation of employee handbooks and policies. Defend clients against claims filed before the California Labor Board. Pursue injunctive relief actions in court and arbitration to protect clients’ trademarks and brands against unauthorized use by former franchisees and other infringing parties. Enforce franchisors’ intellectual property rights in ICANN proceedings. Pursue claims under the Uniform Trade Secrets Act. Prosecute Uniform Domain Name Dispute Proceedings to protect clients’ trade names and marks. Does The California Department Of Alcoholic Beverage Control Have Exclusive Jurisdiction Over All Disputes Involving The Sale Of Alcohol? Does a contract disputes that directly implicate the sale of alcohol fall within the exclusive jurisdiction of the Department of Alcoholic Beverage Control? This article reviews a recent appellate court decision that answers this question. Why do franchisors and their attorneys treat arbitration provisions as a one-size-fits-all addition to franchise agreements? With the number of craft breweries increasing by nearly 20% per year, the distributor/brewer relationship continues to undergo a significant transformation. Violation of the CFIL can give rise to damages, rescission, and, under certain circumstances, impose personal liability on the directors, officers and other employees of the offending franchisor. The explosion of craft breweries in the U.S. has injected countless brewers and labels into this burgeoning market. A district court sitting in California was recently asked to address the enforceability of an out-of-state forum selection clause in a franchise agreement in light of the U.S. Supreme Court’s landmark decision in Atlantic Marine Constr. Co., Inc. v. United States Dist. Court for W. Dist. of Texas, 134 S. Ct. 568 (2013). The contractual rights and responsibilities of the individual franchisees in a particular franchise system are generally uniform throughout that system. The United States Supreme Court has recently been asked to again weigh in on whether the Federal Arbitration Act (“FAA”) preempts a state law restricting the enforcement of terms in an arbitration agreement. Last week, the California Northern District Court denied a franchisee’s request for a temporary restraining order – asking the court to enjoin the franchisor from arbitrating the parties’ dispute – because the franchisee’s anticipated injuries were limited to the substantial sums of money he would have to pay the American Arbitration Association, the arbitrator and others defending the arbitration. The court found that these expenses would not subject the franchisee to irreparable harm as is required for a TRO to issue.